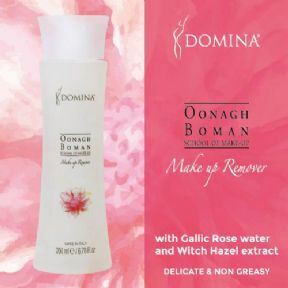 Working in conjunction with Domina Skincare Italy, we have produced the most effective non allergenic 'Eye MakeUp Remover' to date. The makeup remover cleansing water is a gentle and quick alternative to other lesser facial cleansers. Non-greasy, leaving no residue. The Gallic water and Hamamelis extract allow an extremely gentle cleansing, making it suitable for all skin types, even the most sensitive.